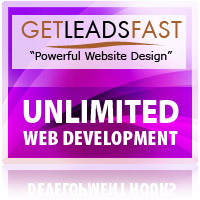 We literately give you Unlimited Web-Development. This means that you can send us as many projects as you want and we will complete all the work in a timely manner for a set low monthly price. No need to pay extra for updates or changes. We handle everything for you! Our dedicated web development team works no less than your own in-house on-site staff. We work directly with you to understand your business requirements and we translate them into desired results as per your needs. Our PHP programmers / developers / webmasters have a 4 year university IT education with a minimum of 3+ year’s experience.